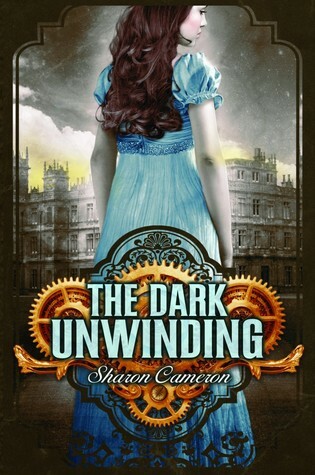 The Compulsive Reader: Looking Ahead: Sharon Cameron and The Dark Unwinding! 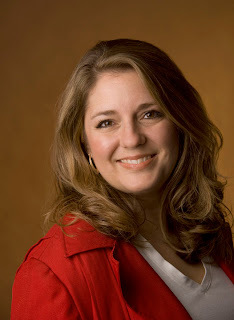 Looking Ahead: Sharon Cameron and The Dark Unwinding! On the blog today is Sharon Cameron, author of The Dark Unwinding! I met Sharon in New York during BEA week and watched her do readings at the Scholastic event (so much fun!) with Maggie Stiefvater, James Dashner, and Eliot Schrefer. She is very sweet, and I am so excited for The Dark Unwinding! TCR: Can you describe your book in 10 words or less? SC: Gothic Jane Eyre with steampunk, spies and a brooding romance. SCL Something like, “Oh, WOW! This is a real book!” The whole process doesn’t even seem real sometimes until you see something concrete. I'm not sure I knew I’d actually sold a book until that moment. TCR: What has been most surprising about the process of taking your story from an idea to a published book? That getting my story published wasn’t really my goal! I don’t think I truly hit my stride as a writer until I quit focusing on getting my work published and instead turned all my attention to writing the best novel I possibly could. Continuing to learn and get better on each step of the journey, both before and after publication (and there’s quite a lot to learn after publication! ), has become much more important than the actual fact of being published. If I could have time traveled and read that statement six years ago, thinking my past self would be pretty surprised! TCR: Where is the best place to stay up to date on you and your books? And here's more about The Dark Unwinding, which will be out on September 1st! "A spine-tingling tale of steampunk and spies, intrigue and heart-racing romance! As the mysteries of the estate begin to unravel, it is clear that not only is her uncle's world at stake, but also the state of England as Katharine knows it. With twists and turns at every corner, this heart-racing adventure will captivate readers with its intrigue, thrills, and romance." I have some Dark Unwinding swag to give away--leave me a comment below and I'll pick a few random winners and send out swag packs! The Dark Unwinding sounds amazing! I will definitely have to add it to my to-read list! The book sounds very interesting. Thanks for sharing it with us. I'm always looking for good books to read or to add to my list. So much fun and the characters are so endearing. I can't wait to read more!